Owner of the goods must arrive prior to shipment. Duties and taxes of approximately 35-45% of the total value apply if the owner of the goods does not qualify for duty and tax free import. Detailed, valued inventory should list all used items. They must have been owned by the owner of the goods for a minimum of 6 months prior to import into Croatia. Statement from Croatian embassy at origin must show that the owner of the goods has lived abroad for more than 12 months (returning citizens). An owner of the goods with a temporary stay permit or who have a permanent residence in Croatia may import used vehicles for a period of 12 months from the date following its import. New cars can be registered to persons having a Croatian residence permit. Car must not be older than 7 years old for import into Croatia. Vehicles can only be imported duty / tax free with a diplomatic protocol issued by the Croatian Ministry of Foreign Affairs. Without protocol, temporary import is possible but a fee will be charged. After 6 months of using the vehicle in Croatia, the vehicle must be exported and will not be allowed back into Croatia until a total of 12 months from original imported date. All species of animals (dogs, cats, birds, etc.) must enter across specific borders where health control inspections are performed. Pets may be imported temporarily in some cases. Import permit from Croatian Ministry of Agriculture, Fisheries, and Rural Development if needed – not required for dogs and cats, but is required for some birds (i.e., parrots). Veterinary health certificate must be issued by government vet at origin no more than 10 days prior to arrival. Rabies antibody neutralizing test (RNATT) may be required for pets originating from certain countries. Contact destination agent for more information. 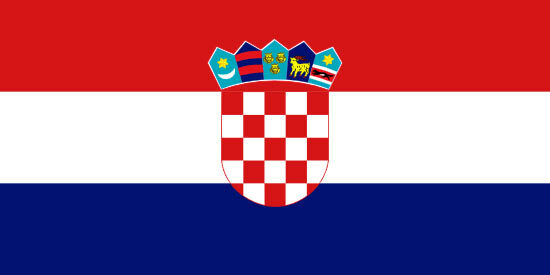 When importing jewelry / art antiques, these items must be registered upon arrival in Croatia. No restriction on registered items as long as document from Croatian Ministry of Culture is available to show the presence of item in Croatia.